Lessons will be designed to be fun, while developing all the students to their full potential. So, if you are interested in any of these, please sign up now by emailing me on info@paphostenniscoach.com. 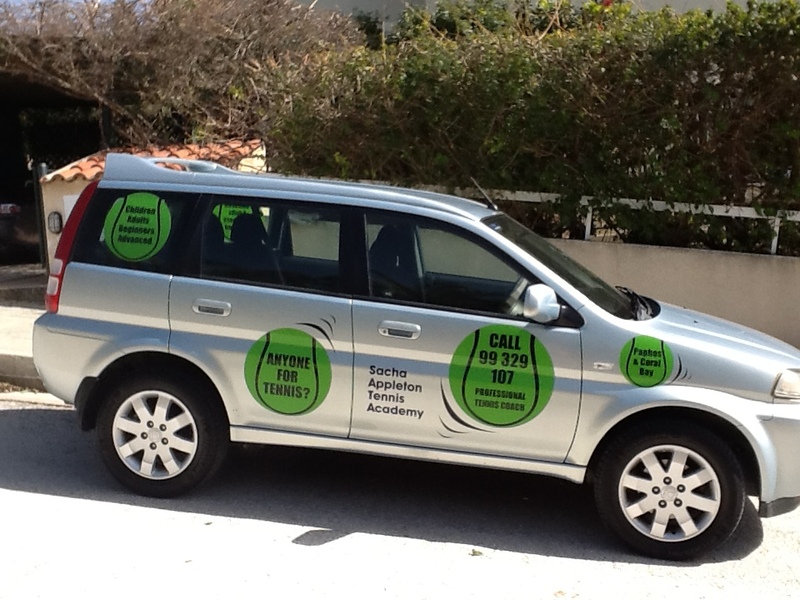 Send in your photos of my car (see below – it’s easily recognisable) either to info@sachatennisacademy.com or post them on my Facebook page www.facebook.com/SachaAppletonTennisAcademy by 14th March and I will pick a winner out of the hat. They will get a free Tennis Lesson. Why do you want to learn tennis? Wondering what to get for Christmas?